The Magic Kingdom. It really is magical. That is, once you get past the long lines, the aching feet, the heat and the food prices. 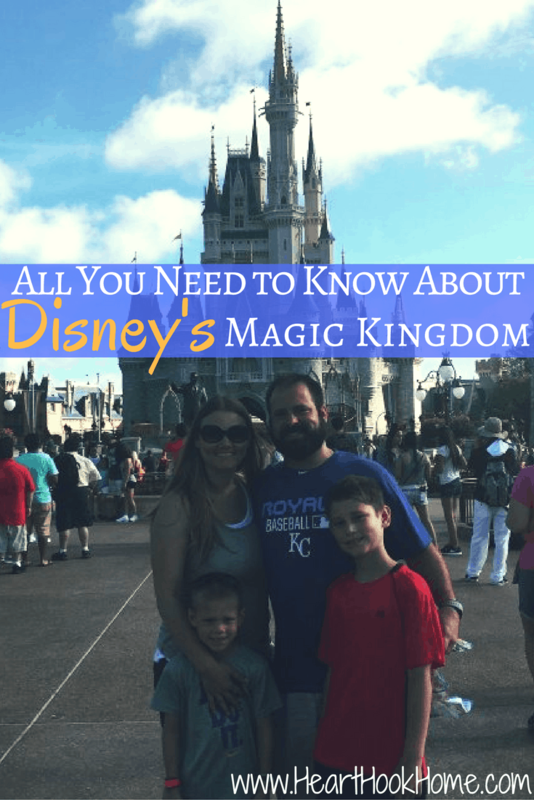 We recently returned from our very first family trip to the Magic Kingdom in Orlando and while we did a lot of research, there are many things we wish we would have known beforehand. This is just one of the parks of Walt Disney World in Orlando. I was amazed at just how large the whole Disney area is. Humongous! We decided to go to only the Magic Kingdom because we wanted to spend just one day at Disney, and as it is the original park and we just had to meet the Disney Princesses. I feel that if you work it right, you can get everything completed in just one day – although you could spend days and days seeing it all. In the Disney Magic Kingdom, there are six main parts: Frontierland, Fantasyland, Adventureland, Liberty Square and Tomorrowland all meeting up at one central place: Main Street, USA. All of the distinct lands have their own attractions, rides, activities, restaurants and more. 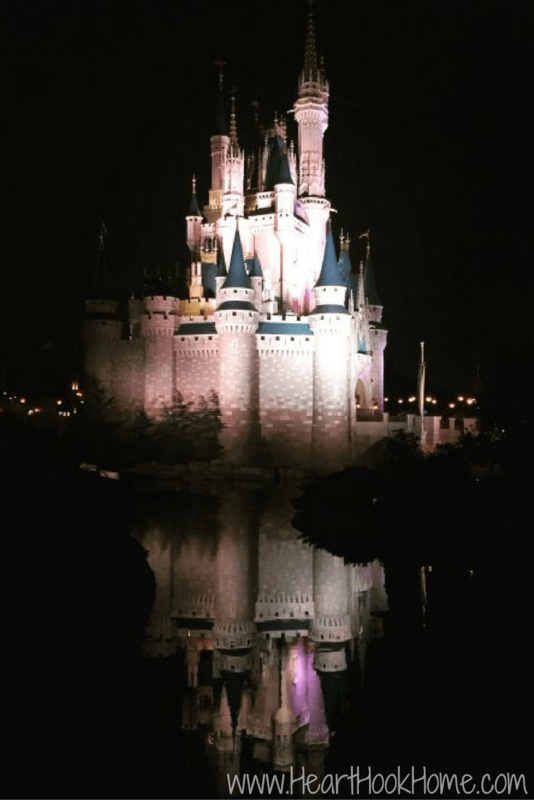 This was my very first trip to Disney (Paul went four times as a child – spoiled brat! lol jkjk) and it was our kids’ first times as well. 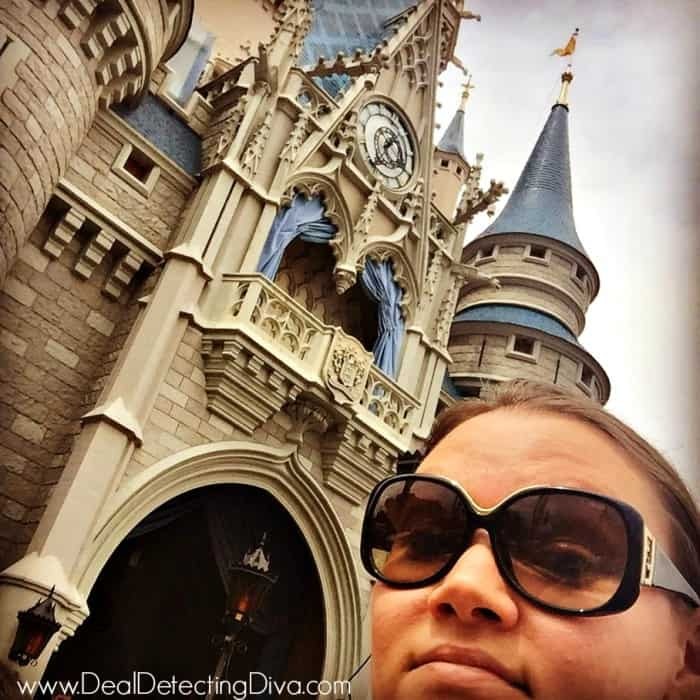 No matter how much research you do, you will not get the ins and outs of the Magic Kingdom until you are standing there with Cinderella’s castle staring you in the face. It truly is a beautiful sight and one that you won’t soon forget. 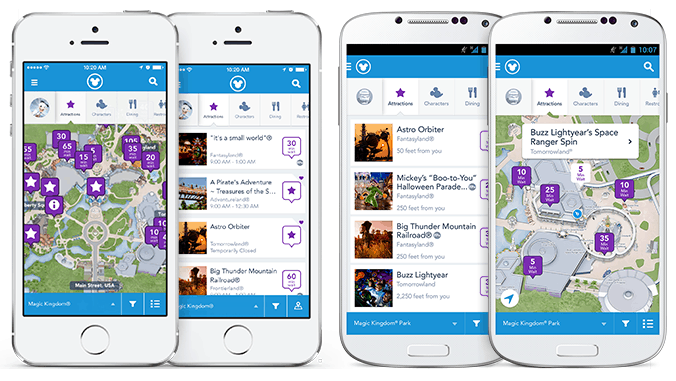 First things first: You WANT a MagicBand for FastPass+. Do you NEED one? No. But if you plan on doing a quick trip like we did (and without everyone having to keep track of their card) this is a must. The cost is $12.99 per person, you can order them in advance from Disney and link the band to each respective person in your party. 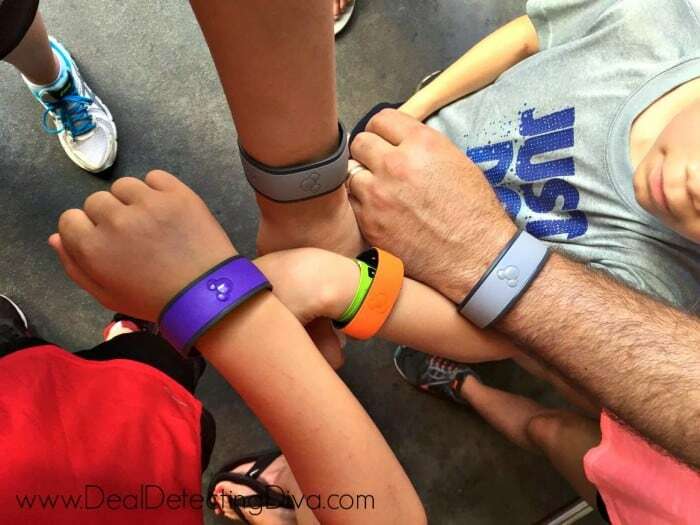 The bands – which warrant their own entire post – allow you to walk straight up to the front of the line at both rides and attractions of your choice (including meet and greets) at designated times, allowing you to accomplish MUCH more than you otherwise would be able to accomplish. Take your own coolers. Pack them with sandwiches and fruit and snacks, use frozen water bottles instead of bags of ice to conserve space. They’ll melt and you can drink the water later. 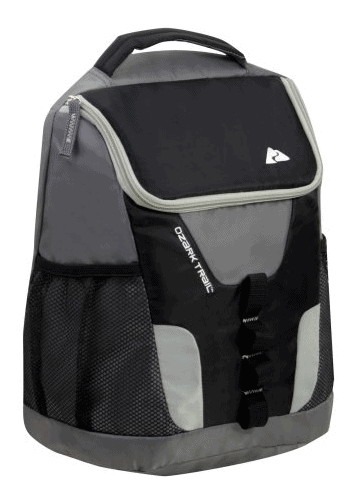 You don’t want to lug around anything with your hands, so we took two of these backpack coolers. They were lifesavers! Rent a locker. Even if you do take the backpack coolers, it is a good idea to rent a locker. We went back to the locker around 11:00 am and ate our sandwiches right there, passing around the tube of Pringles and eating our fruit snacks, throwing the coolers back in the locker for the rest of the day. Lockers cost $12 up front with a $5 deposit refunded when you return the key. KEEP YOUR RECEIPT, otherwise you will get store credit instead of a refund – for a grand total of $7 per locker. You take a fanny pack or a small bag. 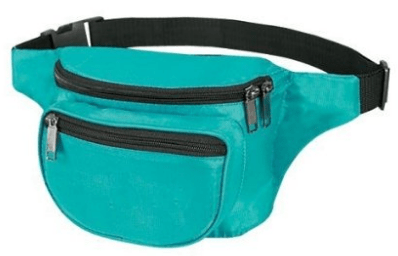 I realize that fanny packs aren’t all the rage (lol) but you won’t give a hoot what other people think. Promise. Instead of carrying your water bottle, your phone and your sunscreen in your hands, throw it in the fanny pack or the small cross-body bag. You want your hands to be free – especially when you’re going on roller coasters and water rides. Wear your button with pride. When you enter the park, let them know if it is your first time there, if you have a birthday in the group, or if you’re on your honeymoon etc. We went with some friends of ours, and it was Jimmy’s birthday. He wore his birthday pin with pride and at least 80% of the cast members wished him a happy birthday by name AND at the end of the night one cast member asked if there was anything he didn’t get to do on his birthday. Peter Pan! So, she took us straight to Peter Pan’s ride and let us cut to the front of the line – all because Jimmy wore his button. Prioritize! While you really won’t know which places to visit first until you get there, it is a good idea to take a look at the map and plan your attack before you head out. Do you want to hit up Frontierland first? This will help to cut down on the amount of walking back and forth and back and forth. Pack a lunch. As mentioned above, you’ll want to pack a lunch. Stop by Publix or Walmart and pick up supplies for sandwiches and save yourself a small fortune. Bonus: when you’re done eating your sandwiches and fruit, you’ll have space in your backpack coolers to hold any souvenirs that you do purchase (although we didn’t buy anything at all) if you don’t rent a locker. Water is free at restaurants. Yep. A cup of ice water is free, and there are even stations throughout the park that offer ice cold water in lines. Refreshing – and FREE! Take your own misting fans. These boogers are $18 – $20 at the park, and I really thought about dropping a twenty on one. I would have taken my own had I known. Here in Kansas, wind is a real thing, but not so much in Florida. It was muggy and the air was stagnant – especially when standing in line. What wind there was would have felt even better with a little blast of mist as well. Take your own pen for autographs. If you want autographs from the characters and cast members, the pens you can purchase at the gift shop are a staggering $6.99 each. While they are cool, they aren’t that cool. The autograph notebooks were pricey as well, but one of the only things I would have purchased – had we been interested in autographs. Take a cell phone charger. There are some charging stations, but you will need either your phone charger or you could take a portable phone charger power bank like we did. LIFE SAVER! We use our phones as our cameras, and we were on the My Disney Experience app checking our FastPass reservations frequently. The battery on your phone likely won’t make it all day. 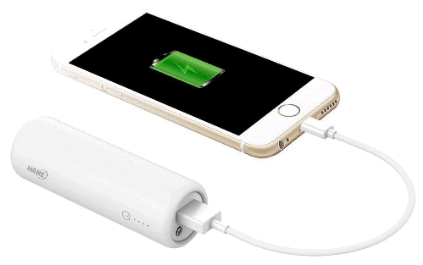 You’ll find other uses for your power bank (this is a great deal!) after you come home. Just a great investment in general. You don’t have to have the app, but it sure is handy! If you’ve got the FastPass, you’ll be able to make new reservations after completing the ones you’ve already completed. You can also check the current wait times on various rides and see the complete map of the park. It even tells you which direction you’re facing and points you in the right direction when you’re looking for a specific ride. Take a break. We got to the park at 7:45 in the morning and left after 11:00 at night. We got everything done in one day that we wanted to get done, but as you can imagine, we were exhausted. We did take a break around 4:00 and took the monorail to one of the Disney resorts. You don’t have to be staying at the resort, you can still visit the restaurants for a snack and rest in the air conditioning. Take a stroller fan. Going with a little one? Take one of these stroller fans with you. If an adult is hot up and walking around, I can only imagine how stifling a stroller would be. You don’t want to have to buy one at the park. Take your own ponchos. It rained every single day we were in Florida. While it only rained for a short while, it rained pretty hard. Take your own ponchos from the dollar store or get this 10-pack for a fraction of the cost instead of paying $9-$10 each at the park. Wear your most comfortable pair of tennis shoes. Seems like a no-brainer, but really, we walked miles that day. I wore my most comfortable shoes but my feet were still aching by lunchtime. Visit the Splash Pad. The Splash Pad is an awesome little area where kids and grownups alike can get sprayed with water to help cool down. Our friend Nicole had the brilliant idea to dress her daughters in their swim suit tops under tank tops so that they could get good and wet, then put their tank tops back on to ride more rides. Pack your sunscreen. Lather it on over and over again. Some of the lines for rides are inside, but many of them are outside as well. I’d say about half and half. Some rides have over an hour wait time (without the FastPass) and you don’t want to be baking in the sun while you wait. Watch the Parades. There are multiple parades every single day. 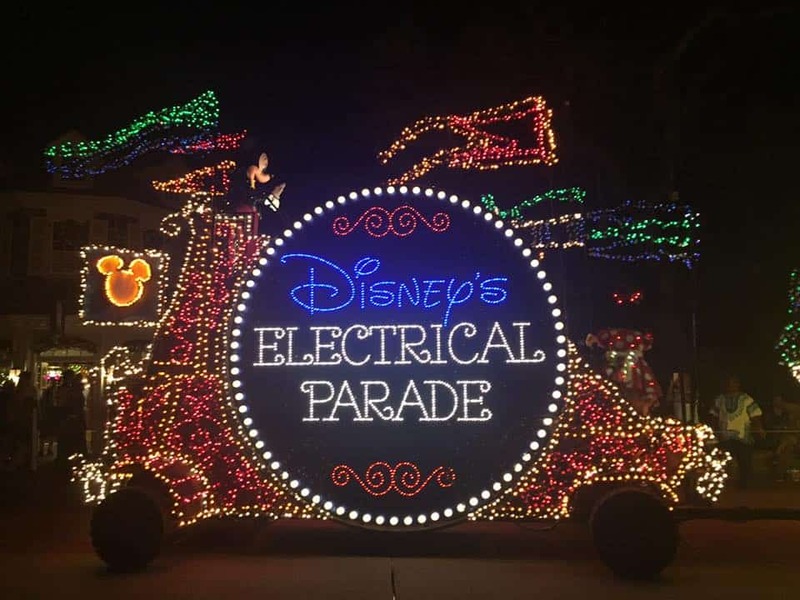 There is a Welcome Parade in the morning at 7:40, there are trolley shows periodically throughout the day on Main Street, a Festival of Fantasy parade at 3:00 and the Disney Electric Parade at 9:00. See the full day’s calendar at this link. 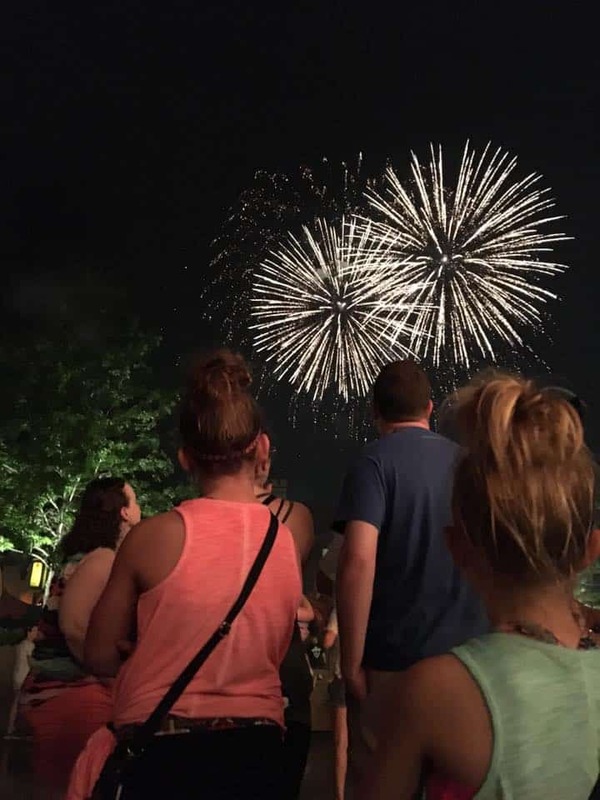 Stay for the fireworks. Every night at 10:00, shortly after the Electric Parade, fireworks are set off above the castle. Beautiful and you can see them from anywhere in the park – although some spots are better than others. We were near the carousel and we had a decent view of both sides. Remember, we did not stay at a Disney resort. Instead we stayed at a condo on the cheap, ate our food on the cheap, rented a car on the cheap and got our flights on the cheap. See how we got to Disney World for less than $1,000, and stay tuned because next we’ll be talking about the rides. Which ones we loved, which ones were just so-so, which ones were great for relaxing and cooling off, which ones booked up the fastest and more. We’re not done with Disney yet! You can pick up autograph books and pens at a local Wal-Mart or Walgreens for a lot less. They have huge Disney sections. Get large pens, like a sharpie, so it is easier for costumed characters to hold. When we went to Disney World we used the phone app for the fast passes. No charge for that.